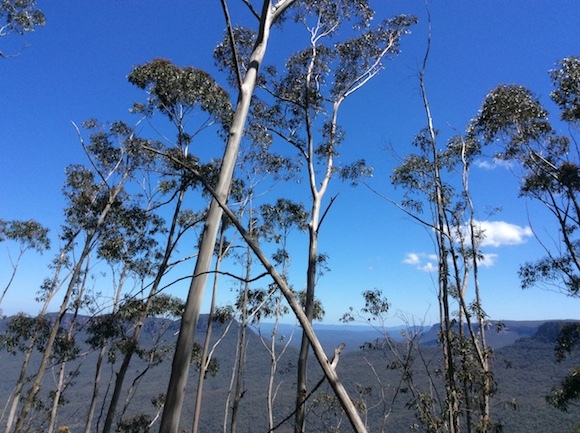 So I didn’t actually intend to go hiking in the Blue Mountains at all. 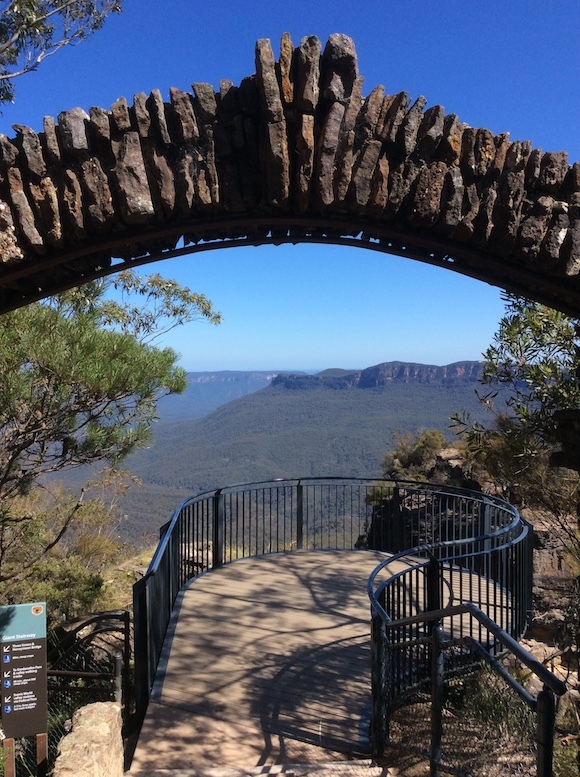 I just planned to go and see them, because they’re an easy two hour train ride from Sydney Central station to Katoomba, the nearest station for the Blue Mountains, through some spectacular scenery and pretty towns. 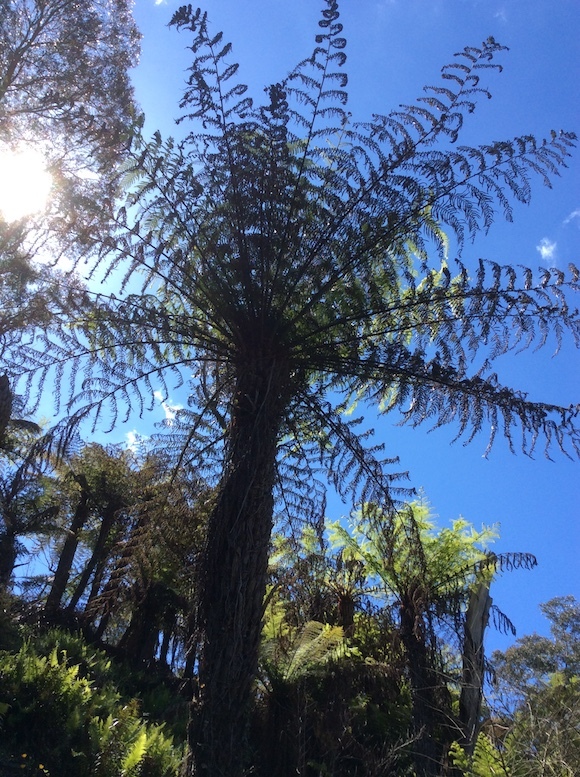 The closer you get to Katoomba, the more dramatic and alien the landscape becomes, with dense, ancient rainforest. 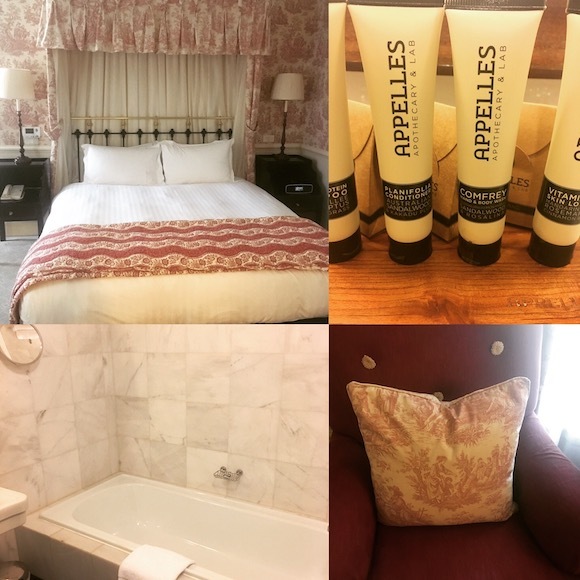 My hotel for the night was Lilianfels, which reminded me of an English country estate – it’s luxurious and very traditional, with Wedgwood wallpaper and iron bedsteads, but also high speed internet access and the most fabulous marble bathrooms. 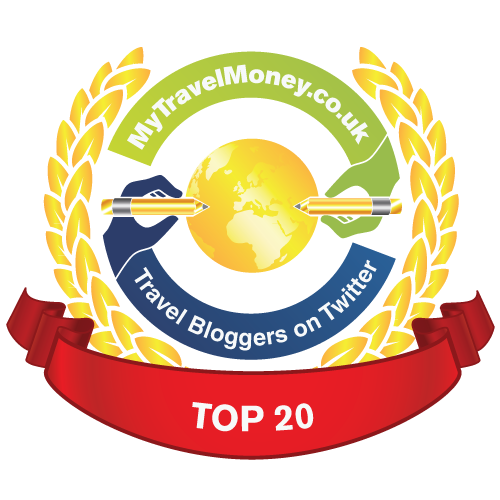 There’s also a rather delightful outdoor swimming pool, and charming cottage-style gardens. It’s basically idyllic. I arrived in the early afternoon, and figured the sun would be starting to cool off soon so it was a good time to go for a walk (it didn’t). 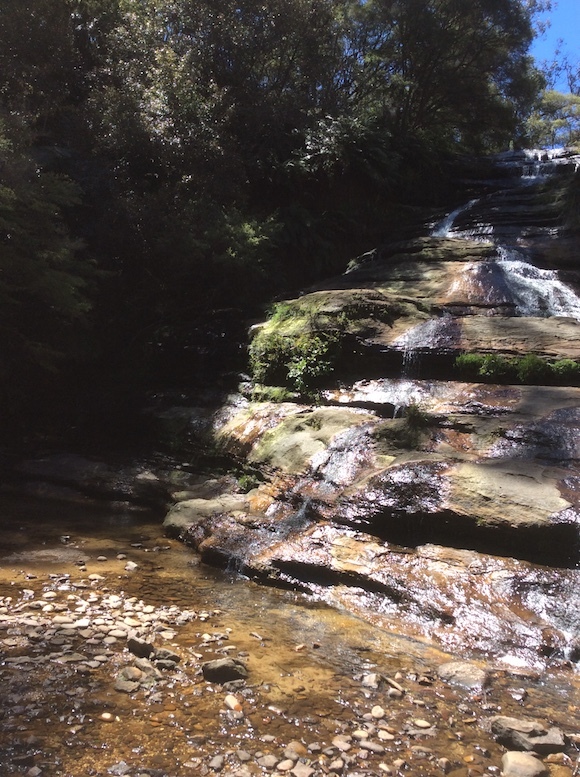 And that’s when I ended up on the Katoomba Falls hike. Because as soon as I realised there were waterfalls I knew I had to go and see them, so I started making my way along the path, which rapidly became rather treacherous in places, with lots of narrow steps and rocks. I’m not sure if the Aussies are having a joke with tourists but there were some very misleading signs (I mentioned this to some helpful rangers I met along the way, who were very amused), and in fact I only found one small waterfall which was not the fabled Katoomba Falls. The distances quoted are I think a bit misleading too… I’m a quick walker and a good hiker but the hike that was supposed to take an hour and 45 minutes took nearly two and a half hours. But I did see some of the most extraordinary scenery I’ve ever seen in my life, mountains and rainforest. And a snake (possibly a yellow-faced whip snake, which is POISONOUS. Strewth. No photo exists of this snake, because I was too scared to get close, in fact I legged it back up the trail, but I definitely saw a flash of yellow). I was rather proud of myself for having hiked all that way, particularly as so much of it was high up – I’m really not good with heights, so it felt like a real challenge. 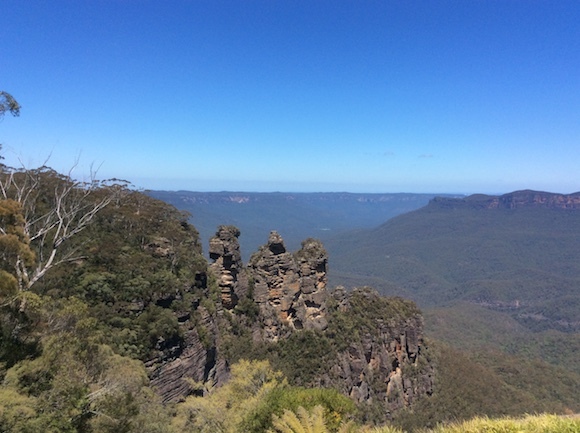 Once I was safely back at Echo Point with its rather nice gift shop selling yummy ice-cream I then made my way to see the fabled Three Sisters. 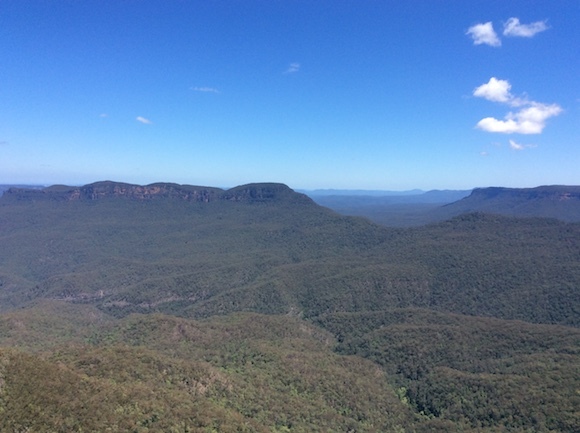 These mountains and rock formations you see in the Blue Mountains are around 470 million years old, which is completely just mind-blowing. 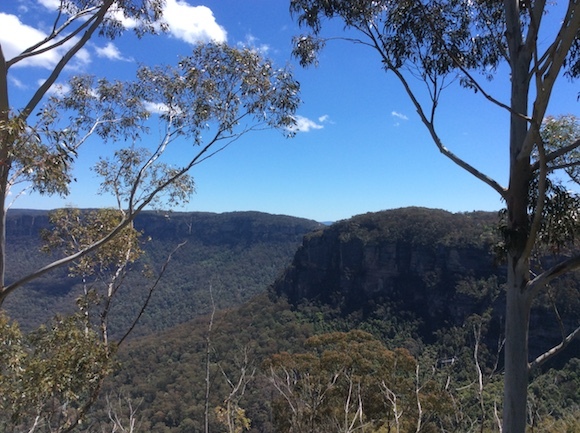 The Blue Mountains really is the most ethereally beautiful place, ideal for getting your head together or taking a breather from the hustle and bustle of Sydney (that’s a joke, I’m from London, Sydney is probably one of the most chilled out cities you’re ever likely to visit). It feels very spiritual, so it’s no surprise that the whole region is steeped in intriguing Aboriginal legends. 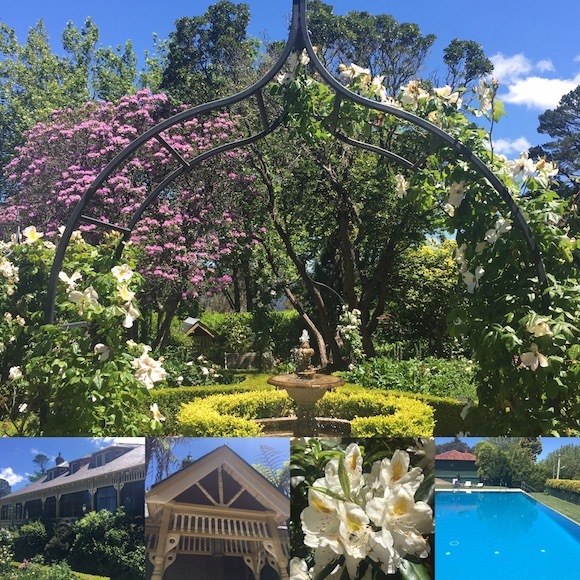 Totally worth a day trip or overnight from Sydney. And I definitely recommend getting an Opal Card, which is like our oyster card, so the trip there and back cost me around $12 AUD.